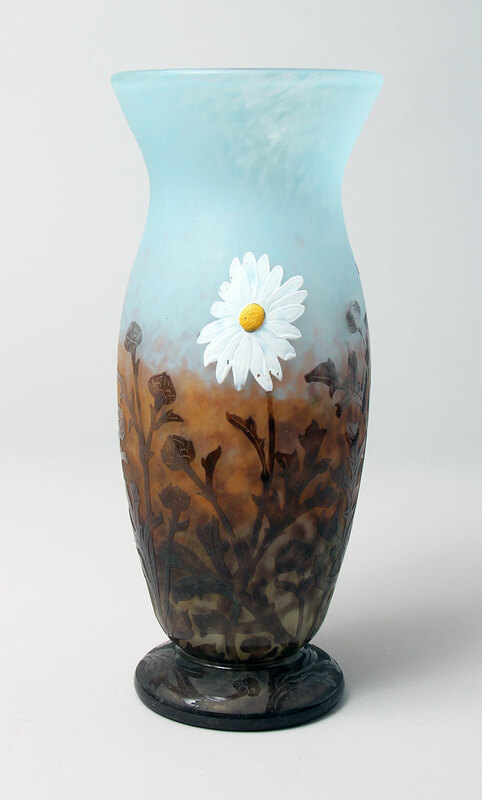 ChasenAntiques.com - Search results for "2812050"
The quality in this Daum vase is truly superior. There are three gorgeous daisy flowers on a pale blue mottled background. 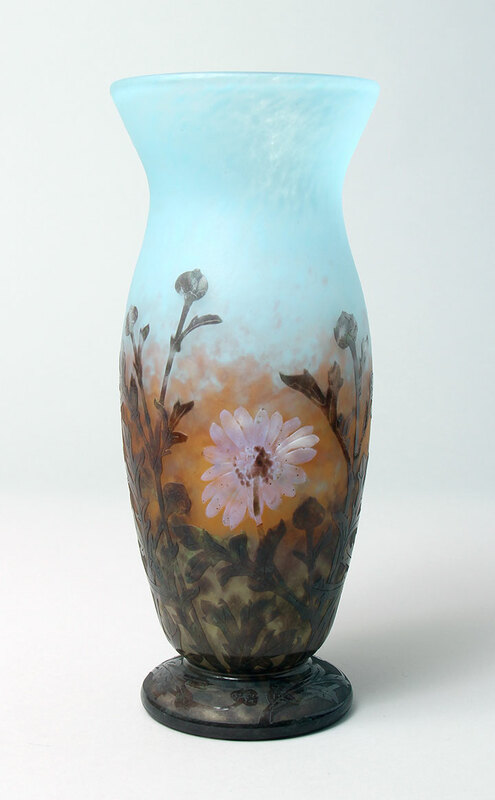 Each flower was applied with molten glass and then hand-carved by a craftsman after the vase was cold (techniques called padding and wheel-carving). 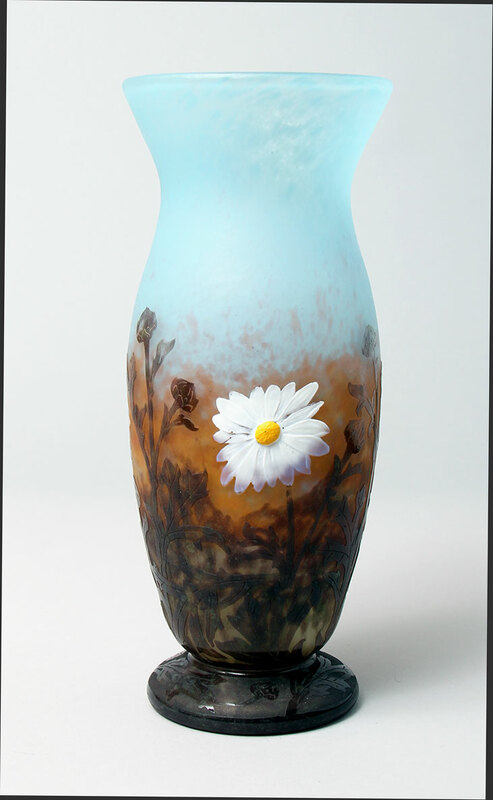 They are techniques used only on the best vases, as it was time-intensive and required the most highly skilled craftsmen. Perfect cabinet size at 11" tall. 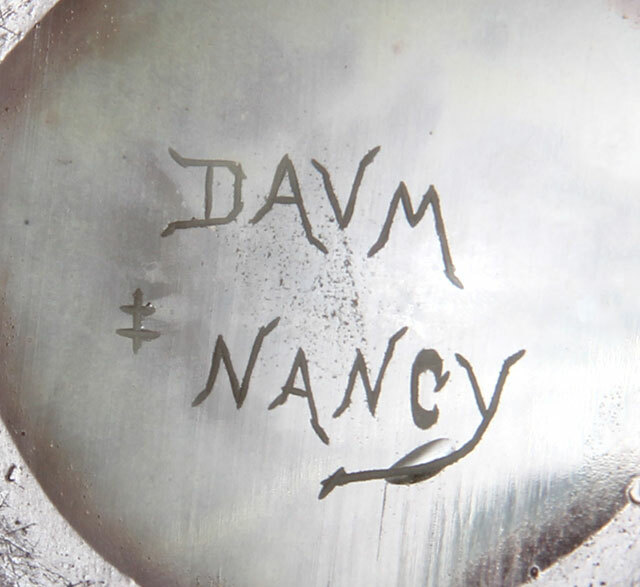 Fancy engraved signature on the underside DAUM NANCY, together with the Cross of Lorraine. Mint condition.